On having a sofa phobia. During a performance in Plymouth the other night, the host encouraged the poets to talk about fear and what it was that each was afraid of. Ever since I was little I’ve had an irrational fear of sofas. I have no idea why this is. The look of a sofa, to me, is really quite disgusting, so much so that it becomes a hindrance especially when people want you to come round their house. I do not have a sofa of my own and I doubt that I ever will, and I can’t even watch a sitcom or a soap opera if there is a sofa present on screen. I go around to visit friends and I just kind of linger. Either that, or I sit on a kitchen chair. The worst thing about dinner parties is that, eventually, the host will say something like, ‘Let’s all go and sit in the living room’, and sure enough they will have a sofa, looming there with all its evil intent, and I will shudder inside and try to summon up some courage. It’s why I don’t go to many dinner parties. I cannot describe how disgusting sofas are. It’s the cushions, primarily, and the fact that they are so big and cumbersome, and that people sit on them and eat and generally live their lives on sofas. The worst thing of all – and this really does give me the willies – is when you are on a train and you see abandoned sofas in people’s back gardens. It really does make me feel quite queasy. At the moment my favourite art gallery in Torquay is having an exhibition of abstract art, the centrepiece of which is a giant sofa covered in graffiti, and there is no way that I will be going there until after the sofa has gone. I saw a picture on the internet and it was like being slapped in the face. My sister thinks that this bizarre phobia goes back to when we were kids, and there was a particularly nasty sofa at a relative’s house, sitting on which felt like you were being eaten by a big cushiony fabric-covered monster. This might be true, but I think the real reason is that even before this, when I was a baby, I remember having jelly and dropping some on the sofa at my Uncle’s house. I remember being upset because the site of that jelly on the sofa was so disgusting, and I remember people fussing around reassuring me that I would have some more jelly, and me trying to explain that this was not what I was freaking out about. I’ve always hated jelly, too. Coffee shop sofas are okay so long as I sit directly in the middle of them. So is the sofa at Tim’s house, a good friend and poetry colleague. Again, so long as I sit directly in the middle, equidistance from the arm rests. (Just typing this is making me feel sick). So there I was on stage in Plymouth the other night, talking about my sofa phobia, and the audience was laughing, when a woman said that yes, she completely understood, and that she, too, had a sofa phobia. ‘Is it the cushions?’, she asked. Yes, I replied. Because of that I feel able to write about this now. It’s an unusual affliction and quite humorous to the uninitiated, but it’s real, and I thank you for your support in sharing this with you. I’m going to go for a lie-down, now. Author Robert GarnhamPosted on October 26, 2015 October 26, 2015 Categories UncategorizedTags comedy, humor, humour, poet, poetry, sofas, writing2 Comments on On having a sofa phobia. Shouting Out Words at the World! And feeling strangely good about it . . .
I’ve just had a great weekend in London performing a half hour set at a trendy film festival in Hoxton, in a studio gallery underneath a railway arch converted for the weekend into a one screen cinema. It was a great event, under the banner Lets All Be Free, showcasing films which probe notions of freedom and what it means to be human in the modern world. I was initially sceptical that my poetry would go down well. After all, my oeuvre is mostly comedic and some might see the approach I take to serious matters as Taking the Mickey. The block of films shown before my performance dealt with subjects such as migration and political activism, with serious, weighty themes which were greeted by the audience with respect and contemplation. I was due to perform at half eleven in the morning. A year ago this would have given me cause for concern and I would have been phased by the whole festival and its spirit of underlying seriousness. Yet now, I am able to approach such events with a sense of wanting to entertain and amuse and to give everything to my performance and the words. The tactic seemed to work. The audience were appreciative and they didn’t escape to the bar while I was on, indeed, more came in and watched. Not even the sudden death of the microphone halfway through was a problem, I just spoke louder. Because of this I was very happy with the way that it went. So what’s so different now? Several things have helped. For one, I’ve been concentrating less on the writing process and more on the rehearsal. This is thanks to my unofficial director, the wonderful Ziggy Abd El Malak, who’s shown me several techniques which I now employ regarding movement, pausing, etc. Secondly, I’ve been watching other poets and performers and the way that they do things rather than what they are saying. SV Wolfland, for example, has a wonderful microphone technique and employs body movement, as does Susan Taylor. I’ve even been watching my favourite pop stars to see how they move and how they use the microphone. And thirdly, I’m just not afraid of things going wrong any more. Spending time with people like Jackie Juno, who can turn a whole situations round and just Have Fun while performing, has been invaluable. Watching the poets at the Womad Festival in close quarters also showed me how the big names control the audience and make every situation that crops up a part of the show. So that’s why this weekend has been so great. And now I’m sitting here at Reading Station, waiting for my train home, and looking forward to the next opportunity to shout out words at the world! 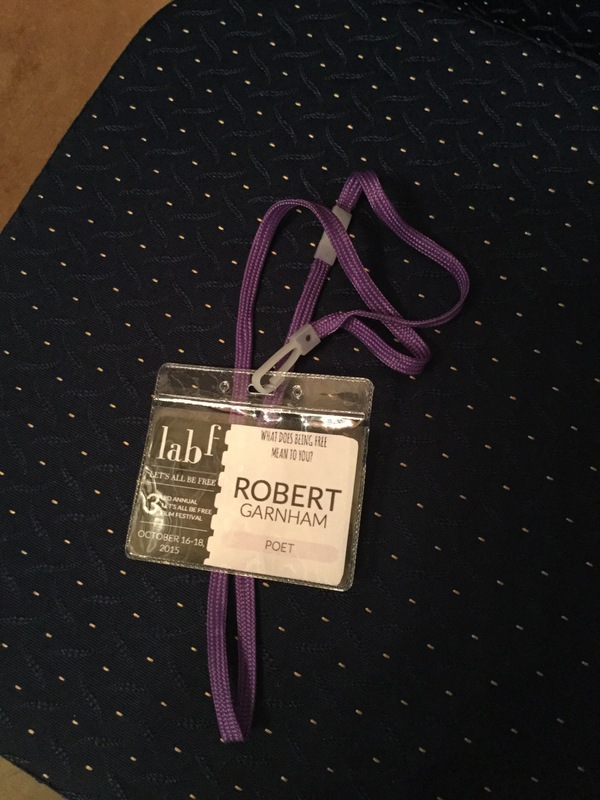 Author Robert GarnhamPosted on October 18, 2015 October 18, 2015 Categories UncategorizedTags art, cinema, comedy, performance, poem, poet, poetryLeave a comment on Shouting Out Words at the World! And feeling strangely good about it . . .
On heckling at poetry performances. You don’t normally get hecklers at poetry nights. This is a good thing, really. 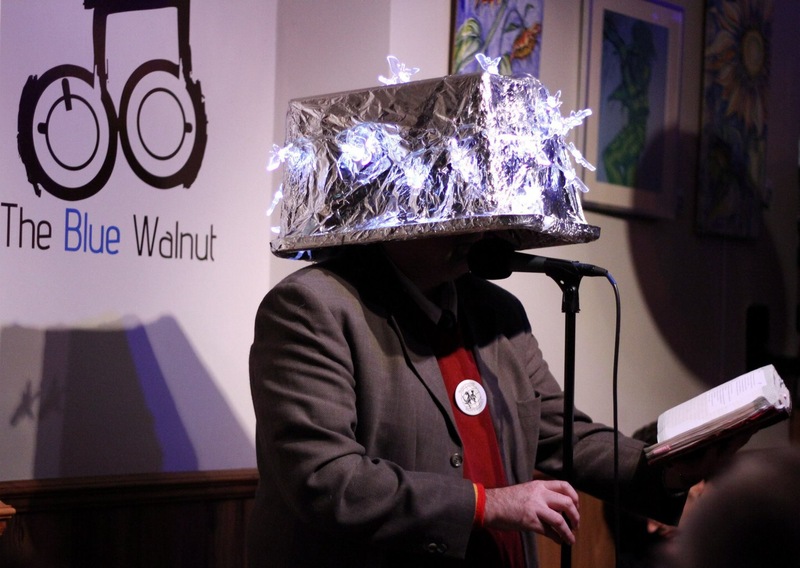 Poetry isn’t like comedy, where you do get hecklers. Comedy is a shared conversation, and the best comedians talk to the audience, not at them. Hecklers are usually joining in. Poetry is more of a shared, rhythmical experience. You might get the occasional nod, or someone shouting ‘Yeah!’ in agreement, but not any actual heckling. – those who try to be funnier than you. Which was nice to know. There’s no possible comeback from that. So heckling isn’t frequent in poetry, but as poetry increases in popularity, perhaps poets should learn to deal with it. The best comeback I ever did was at a comedy night. Mentioning badgers, someone shouted, ‘You fancy badgers, don’t you?’ I replied, ‘Nevertheless’, and carried on with the poem. I felt quite happy with it. And everyone laughed. I’ve not done the badger poem since. Anyway, for no reason whatsoever, here’s a poem about cows. 1. How would you describe the behaviour of cows? At the scene of a crime. 3. Describe the types of cow that you saw. Half of an hour hyped up. Or white cows with black splodges? 4. Have you ever been caught under the silvery moon suddenly transfixed by the inate beauty of cows and the way that they seem to reflect the celestial moonglow as if lunar objects themselves? 5. Were you aware of this before the incident? 6. Explain in a single haiku the beauty of the cows you saw. Often in shady areas but sometimes in the full glare of the sun. 7. That’s not a haiku. 8. Eulogise a cow for me. But in this rhyme I praise thee. 9. Tell a cow joke. In what way is a cow like my parents bungalow? 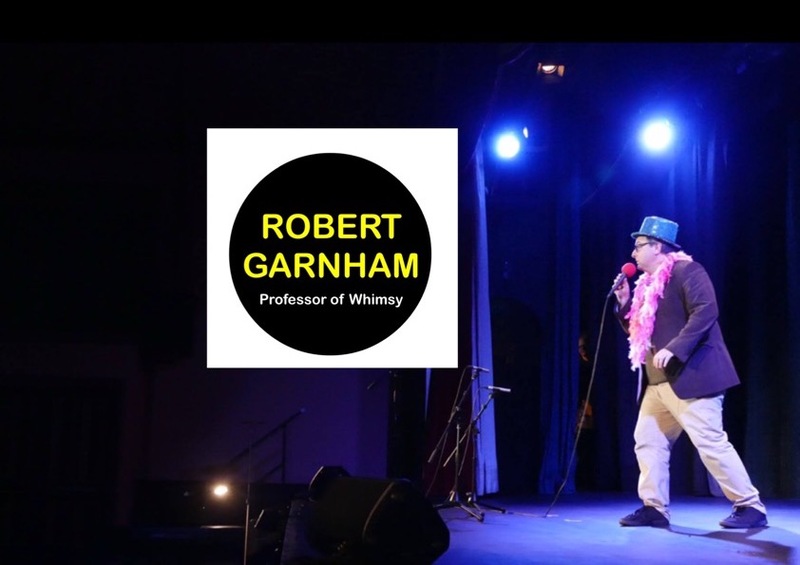 Author Robert GarnhamPosted on October 14, 2015 Categories UncategorizedTags art, comedy, comic, funny, poem, poet, poetryLeave a comment on On heckling at poetry performances. At this precise moment I’m on a train and I’m going to a gig in Bristol. Indeed it’s quite an honour to be doing this gig because it’s a fundraiser for Poetry Can, an organisation I rather like, and it’s part of the Bristol Poetry Festival, and I’m one of two main guests. I thought I’d write this blog to tell you exactly how I feel. The answer is mega nervous. My mind keeps running over the small things that can go wrong. And then it runs over the big things. The main concern at the moment is ‘will I be crap’? I know that the organisers have asked me because they like my stuff, and also because I’m cheap and available. But what if tonight’s the night where it all falls apart like a cheap microwave lasagne? What if I’m so preoccupied with other things that I don’t have my mind on it and I seem withdrawn and distracted? What if tonight’s the night that something really bad happens in the news and no one cares about my own particular brand of whimsy? Just writing this adds to the nerves! And what about the other things. Will nobody turn up? Will I not make it to the venue? Will I spill my drink over someone important? Will I get drunk for the first time since 1991 and upchuck over the first row during my performance? Will I have a sudden attack of the willies and run out of the room screaming? Will nobody laugh? I’m already in costume, if you can call it a costume. 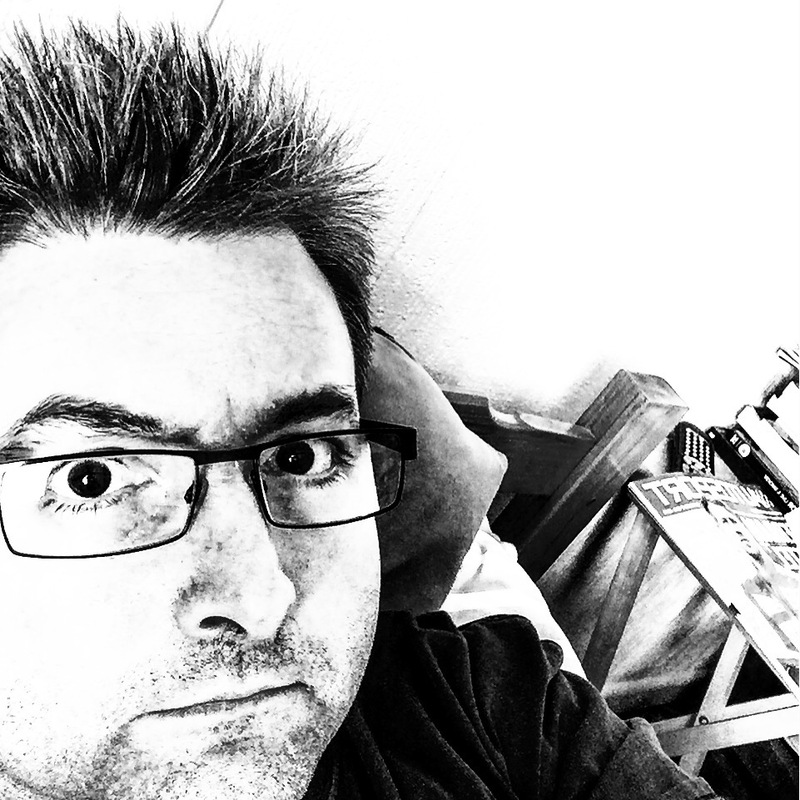 I’ve got the glasses on and spiky hair, a nice jacket, some sensible shoes. I’ve got a card with me in which I’ve written the set and what I’m doing and in what order, and I’ve read it so much that it’s started to look a bit crumpled. Even so I keep having last minute jitters about the poems I’ve chosen. The set is a comfortable mix of old and new, funny and one deeply serious one which I’m worried people will laugh at. Maybe that might be a good thing. I’m also listening to music. I listen to the bands who inspire performance rather than writing, so it’s Pet Shop Boys, Sparks, Erasure. The train has just passed through Tiverton and I’m wondering if I should turn the music off and concentrate. It should be a good evening. In fact it probably will. But that doesn’t make me feel any better and part of me is wondering why I do this kind of thing at all. I’m sure it will all feel much better when I’m at the venue. Yes, it went very well indeed. The audience was not huge but I knew a lot of people there. I was worried initially that they might not have appreciated my oeuvre. The open mic element of the night showed a bias towards weighty, traditional poetry, and the other co-headliner was Claire Williamson, a wonderful poet, deep and meaningful and totally human, she went down very well with the audience. But there were plenty of friends there: Melanie Branton, for one, a poet with a similar sensibility to me yet much, much better. She did her poetry to huge acclaim, and that’s when I thought that they might like me after all. There were a few young people in the front and a young man with a big bushy beard, I’d already singled him out to be the one I point to during the Beard Envy poem. He wandered off halfway through the evening and I felt a bit of a panic that I’d have nobody else to pick on. As luck would have it he came back just before my set, and he laughed and clapped all the way through, which made the whole night that much better for me. There was a big grin on his face, and afterwards he came and chatted and said how much he’d liked my set. As ever I don’t know what it is I’d been worrying about. If anything I worry now that it’s done that I could have done more comedy poetry, as I did a couple of serious ones halfway through. I also wonder what the night had been like if the young people weren’t there, and whether the audience would have had the same dynamic. But it doesn’t matter: it was a good night, and I really enjoyed it, and the audience enjoyed it, and that seems to be the main thing. There’s no sense in overanalysing. 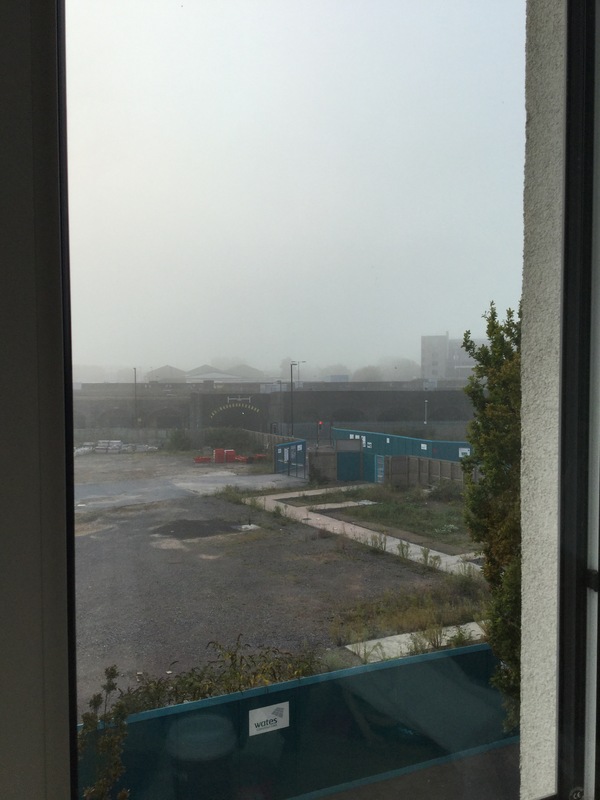 At this moment I’m in my hotel room in Bristol, looking out over wasteland towards the station, and the mist is hiding the sun and making everything monochrome. Life is certainly weird at times. Next week I have to do this all over again, the exact same set yet this time in London. No doubt the same old paranoia and nervousness will kick in once more!